The Hurricanes got back to winning ways this morning, putting 40+ points on the Blues in a 42-24 win at Westpac Stadium after a disappointing loss to the Brumbies last weekend. Ngani Laumape stole the show, bagging four tries in an incredible performance. The 25-year-old centre carved through the Blues defence like a hot knife through butter on a number of occasions, scoring some beautiful tries. This is how you run a line. 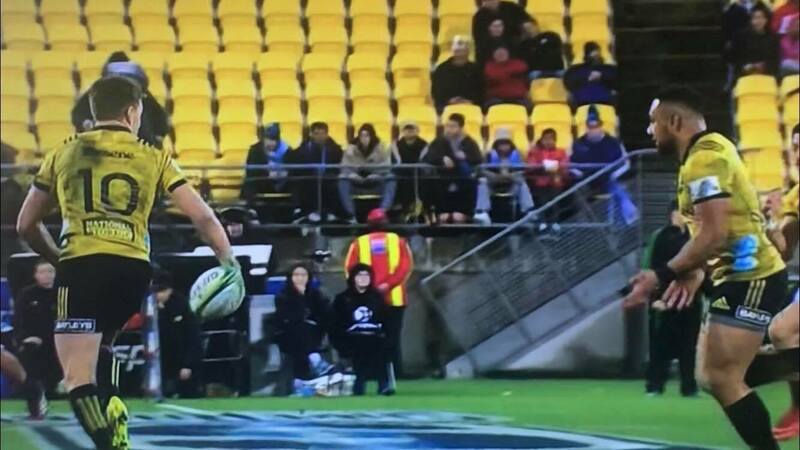 But it was two-time World Player of the Year Beauden Barrett who pulled off the moment of the match, racing through to juggle an intercept before putting Laumape through for his fourth. It was reminiscent of his glorious pass to Nehe Milner-Skudder when the All Blacks demolished the Springboks at last season’s Rugby Championship. Beautiful stuff altogether.